For 18 gauge barbed wire/12.5 gauge smooth wire/14 gauge smooth wire. 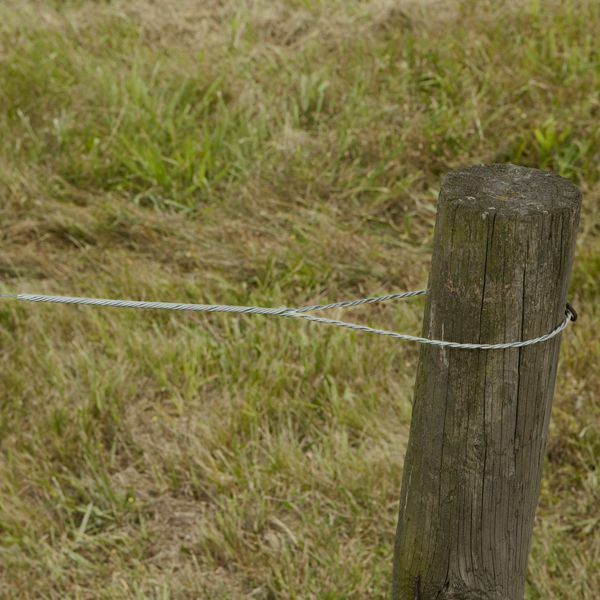 Bracing solution for fence systems using wooden posts. For use on T-post and regular posts. No special tools or accessories needed. Safe and strong for animal containment. Manufacturedfrom touch galvanized steel (Class 3 or above). Simple hand weave installation with smooth rigid fit.